six key international markets and more to come! 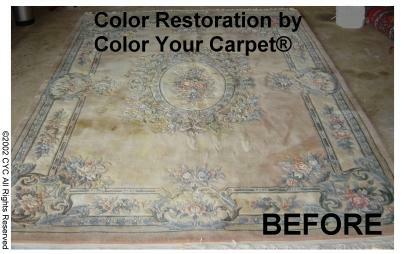 These exquisite designer rugs had a multitude of pet stains, fading, color loss or food stains. 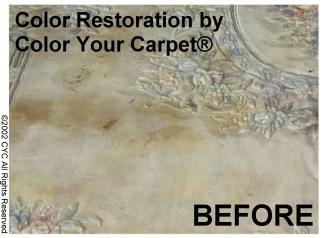 Extreme stubborn stains or color loss that carpet cleaners couldn't remove or correct. The owners had almost given up any hope of getting the original beauty back in these valuable family heirlooms. 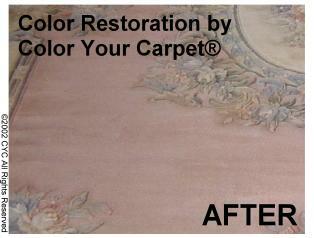 The Color Your Carpet® "Color Restore" service is the perfect solution to prevent expensive carpet replacement. 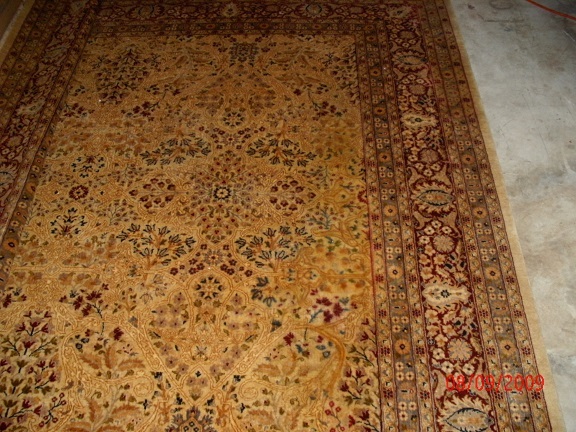 We can restore the rug, all or part (fiber-by-fiber if needed), to solid or multicolor or intricate patterned rugs. 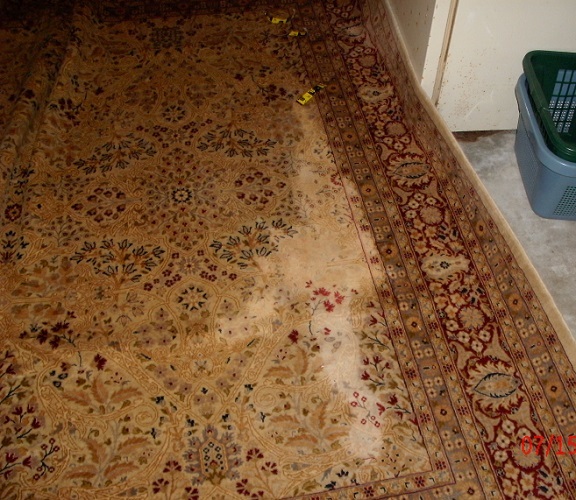 Even after "professional" cleaning horrible stains and faded areas rendered the rug ready for the trash. Restored to Perfection! All color disparity evened out, every color in pattern restored and original color and beauty restored to life! 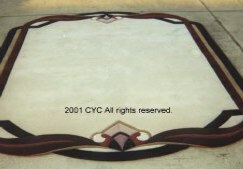 Close up of rug above after pattern detail and color is restored. 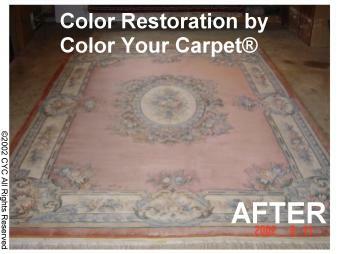 After exact pattern detail and color is restored. Fiber by fiber the beauty, detail, color, character and pattern is restored. 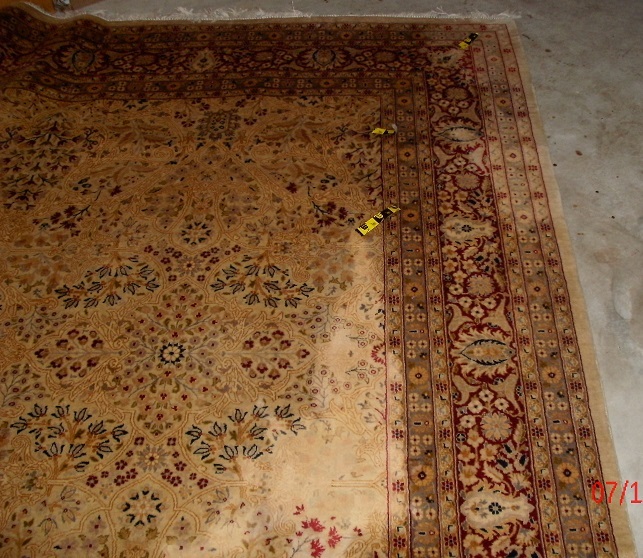 Before Restoration this designer rug was mottled with pet stains and discoloration. A change to a brand new color was the perfect solution for the new decor. 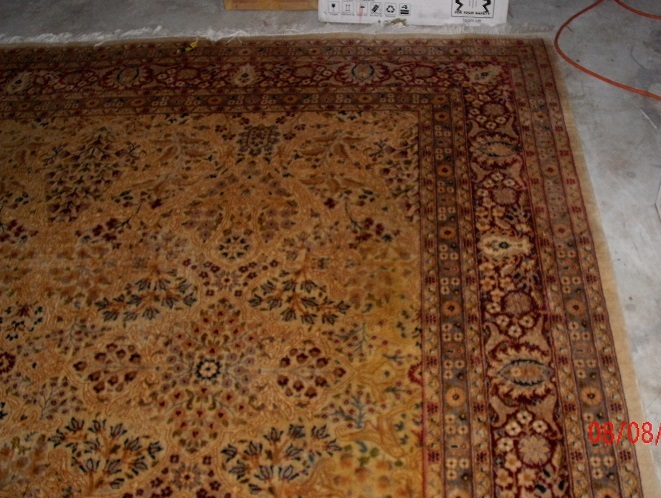 Designer Area Rug Faded and Urine Stained - No Hope? 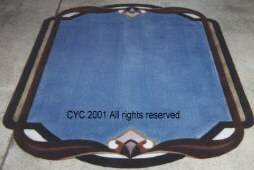 Discolored field dyed to match teal border- no trace of Stains!